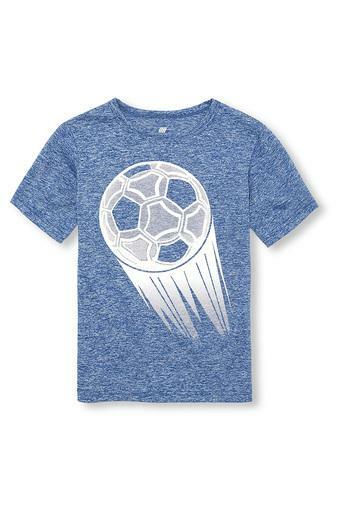 Amp up the style of your son's daily casual wear by getting him this tee from The Children Place. Your child will stay comfortable in this printed tee, as it is made from high-quality fabric. This tee comes with round neck and short sleeves which adds to its design. This tee will make your son look cute and smart. You can make him wear them with any pair of shorts and loafers while going for any casual occasion.